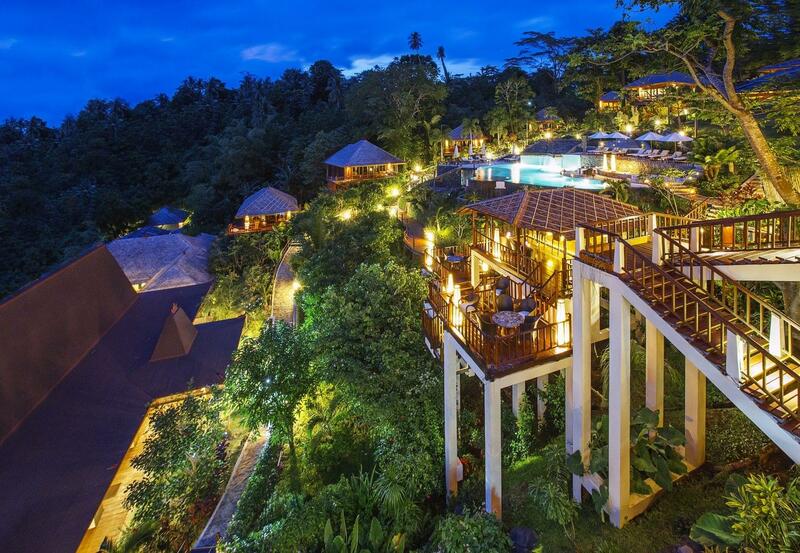 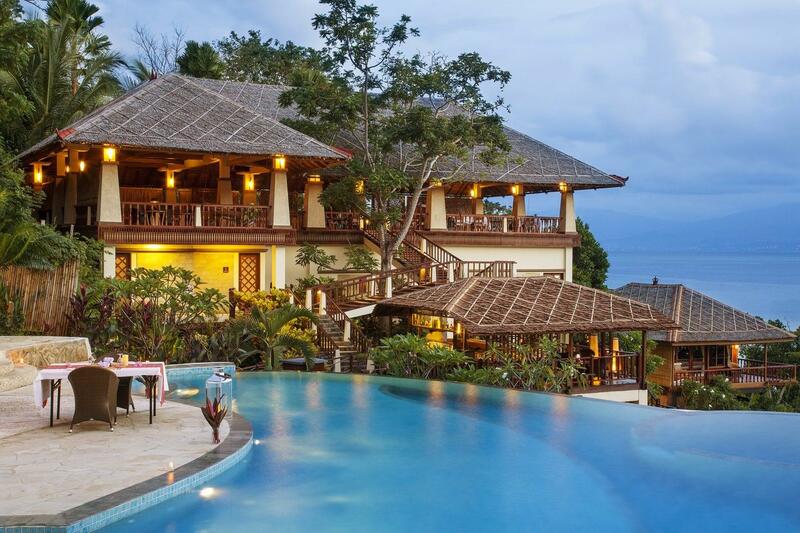 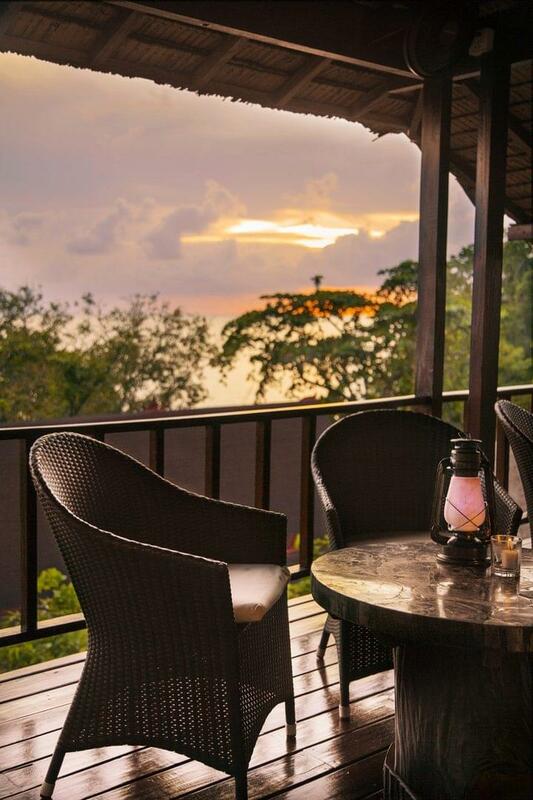 Bunaken Oasis Dive Resort & Spa is a luxury boutique resort on the south coast of Bunaken Island, North Sulawesi. 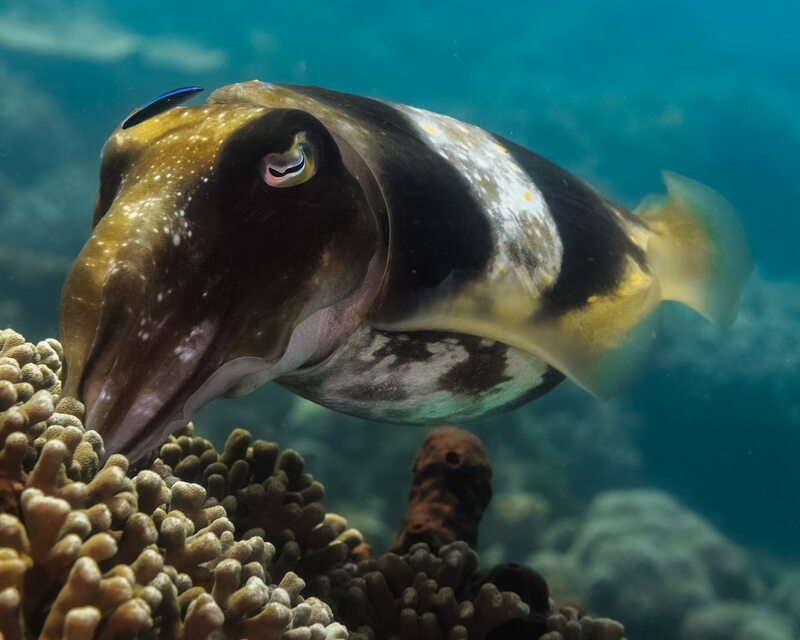 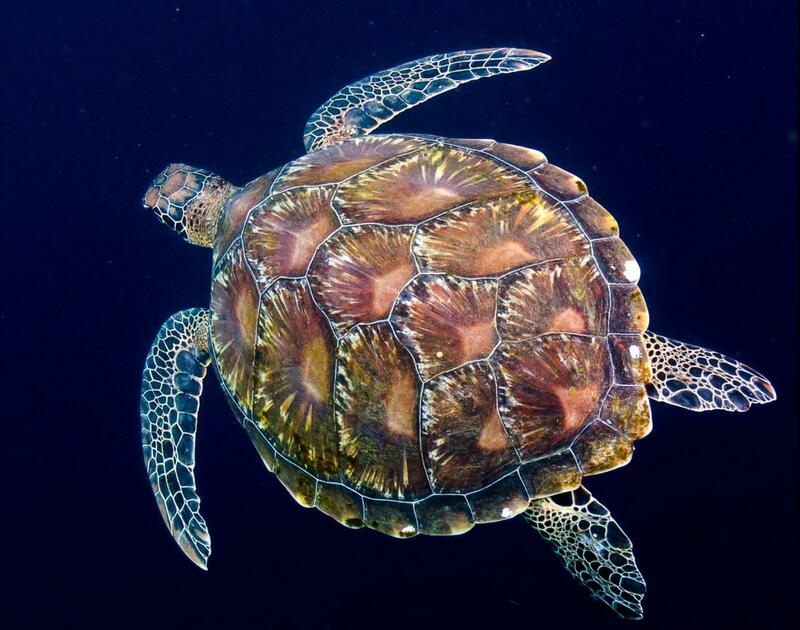 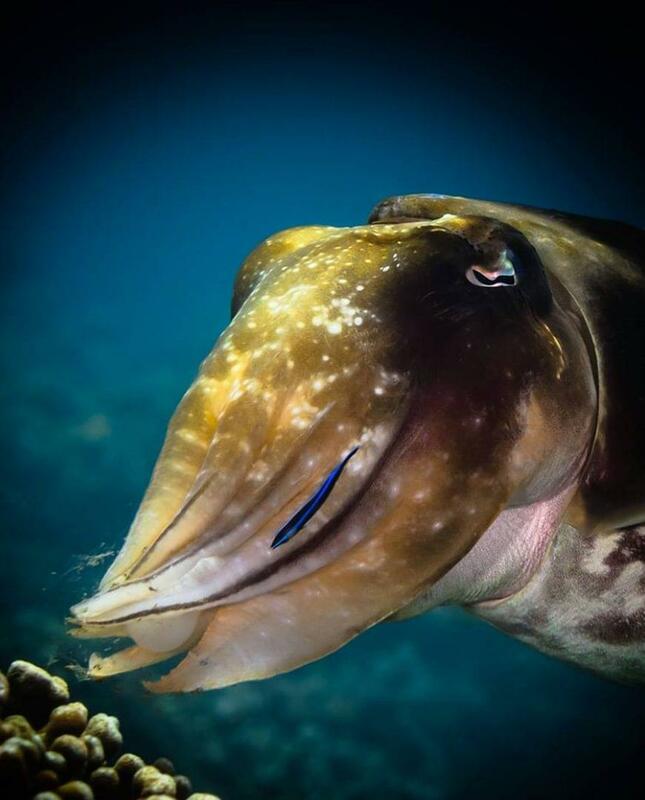 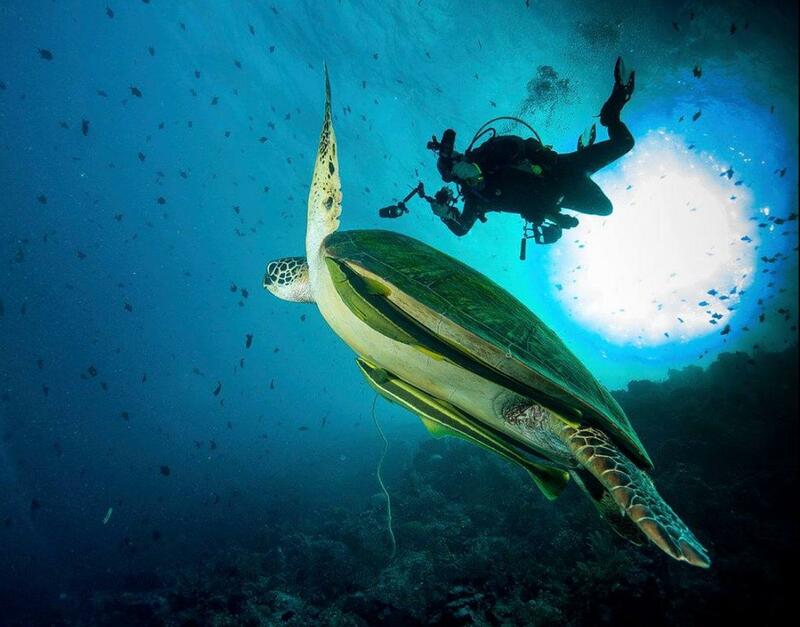 During a week's worth of diving, it's not uncommon to see turtles, neon colored blennies, reef sharks, nudibranchs, dolphins and even the occasional dugong or sperm whale. 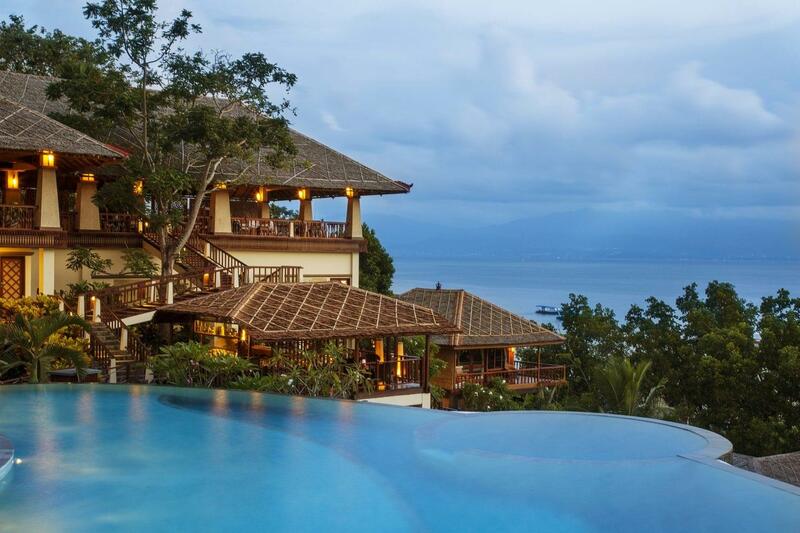 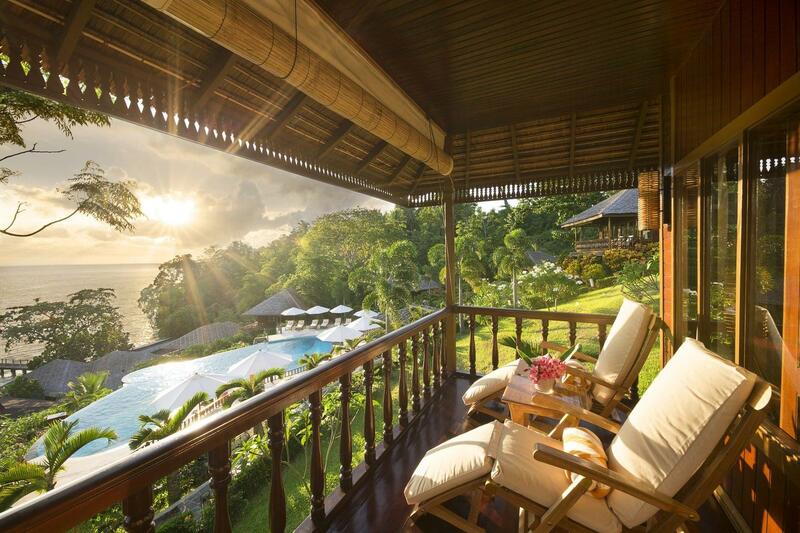 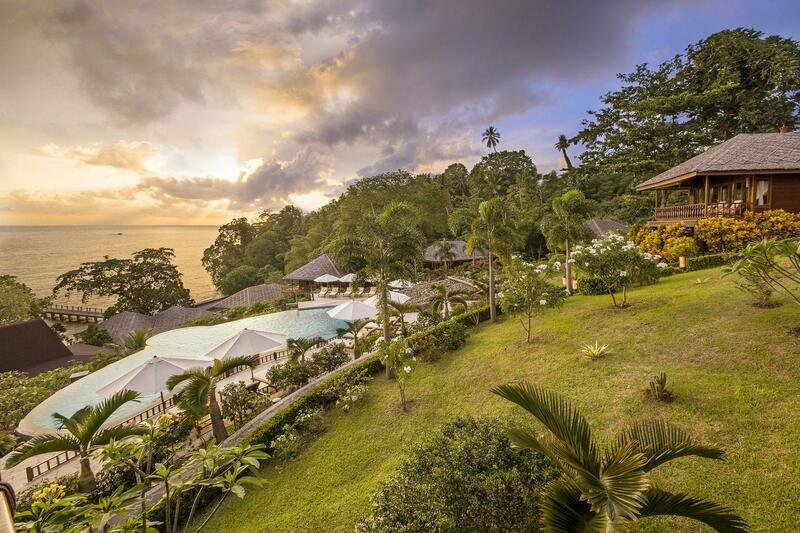 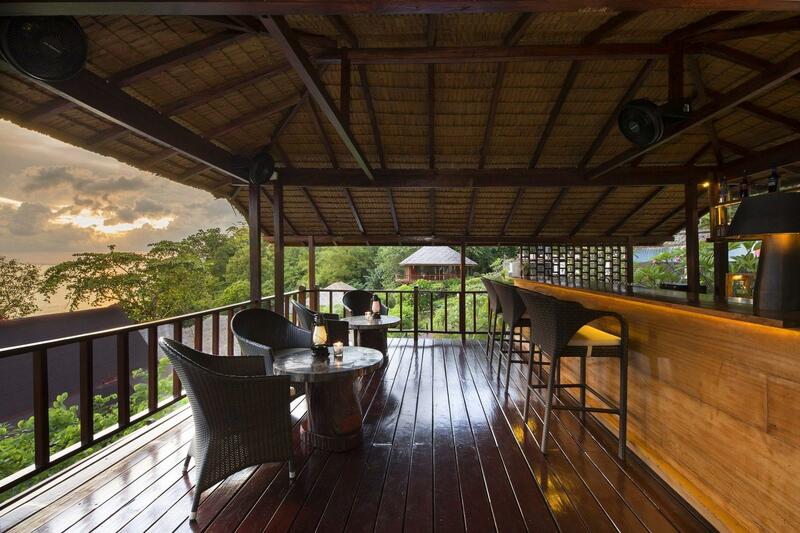 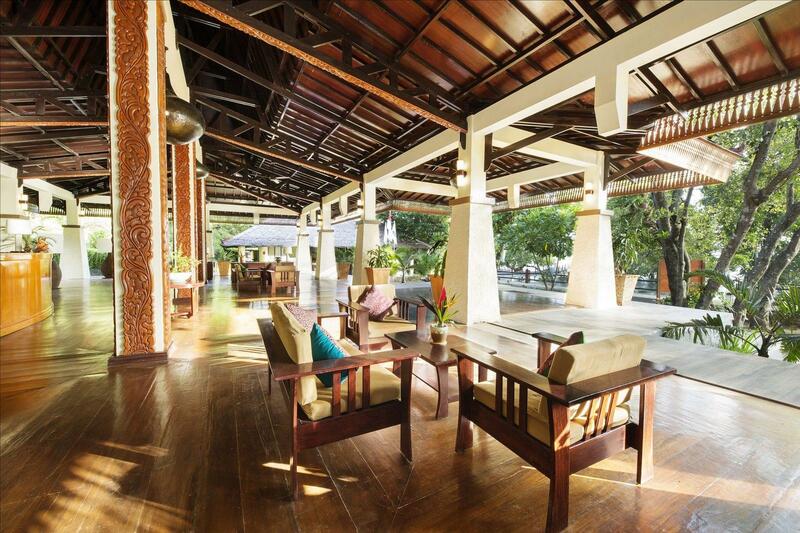 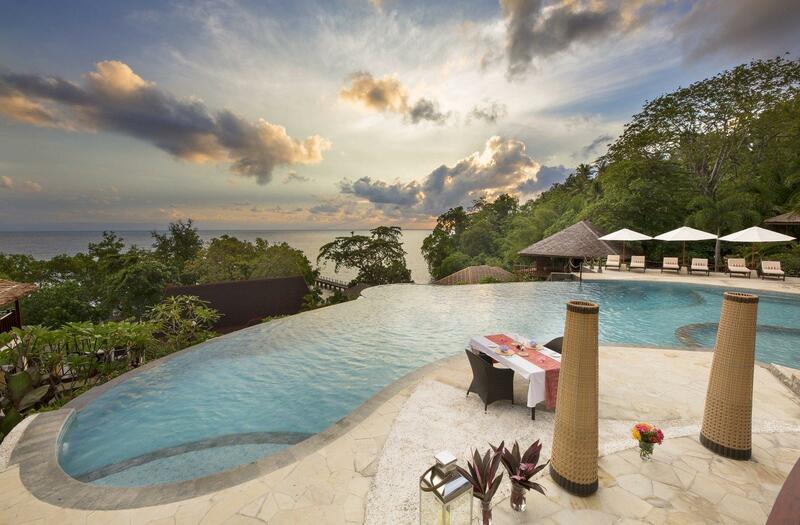 The resort has 12 large, beautifully-appointed villas, including one two-bedroom for families. 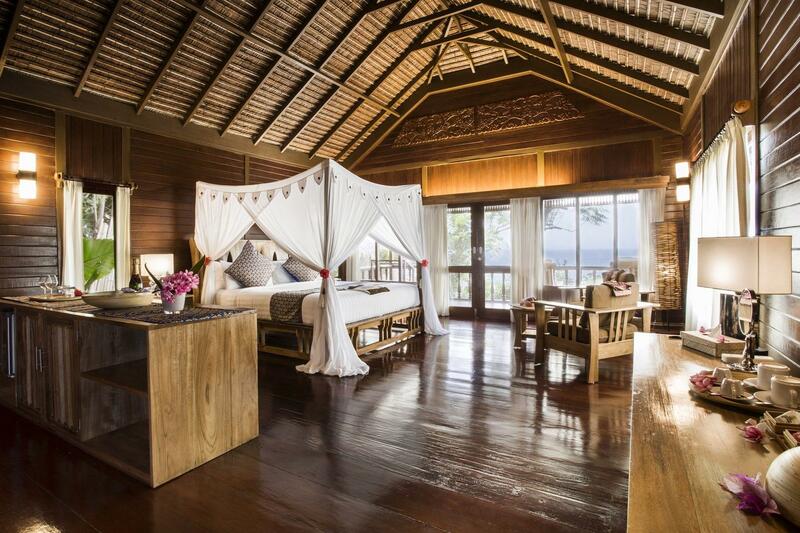 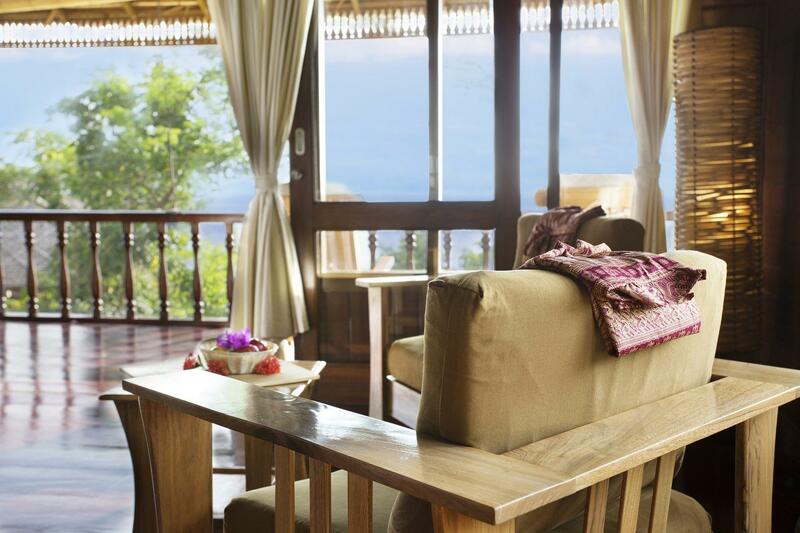 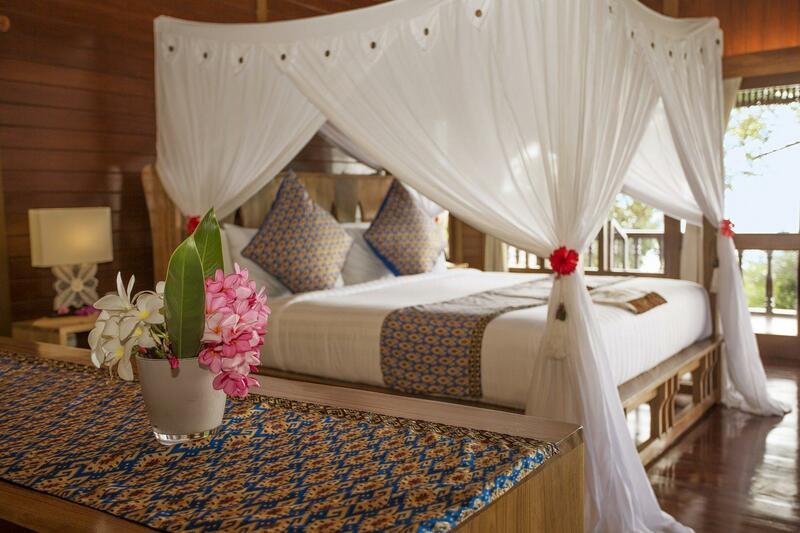 All rooms are built using natural matierials and finished with crisp white linens and local handicraft. 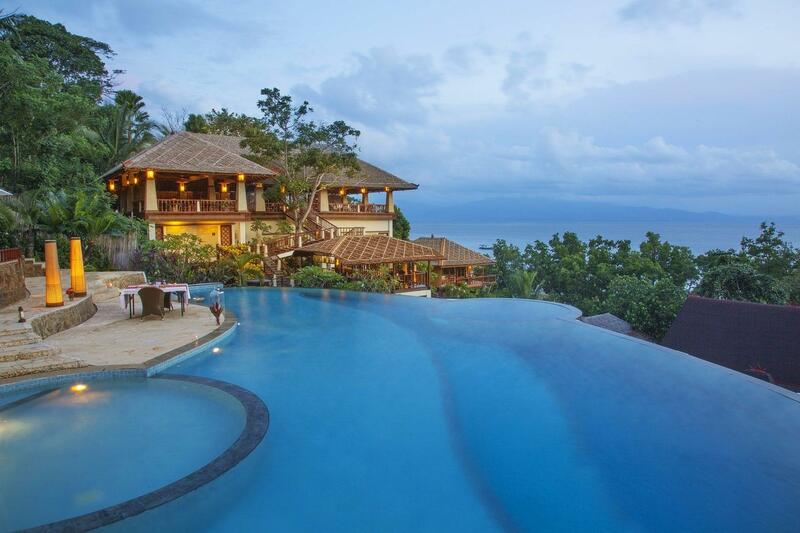 Facilities include a spectacular freeform infinity pool with waterfall and a traditionally-inspired spa. 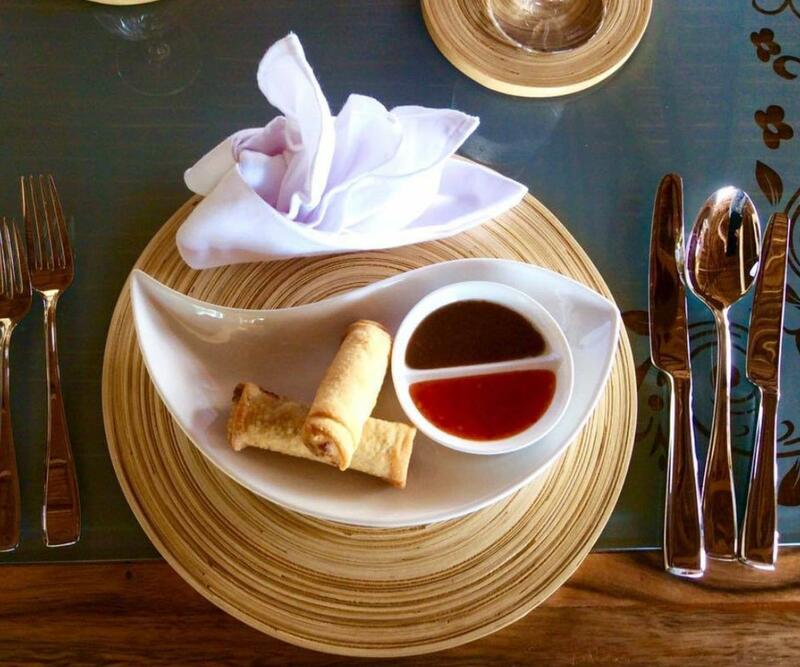 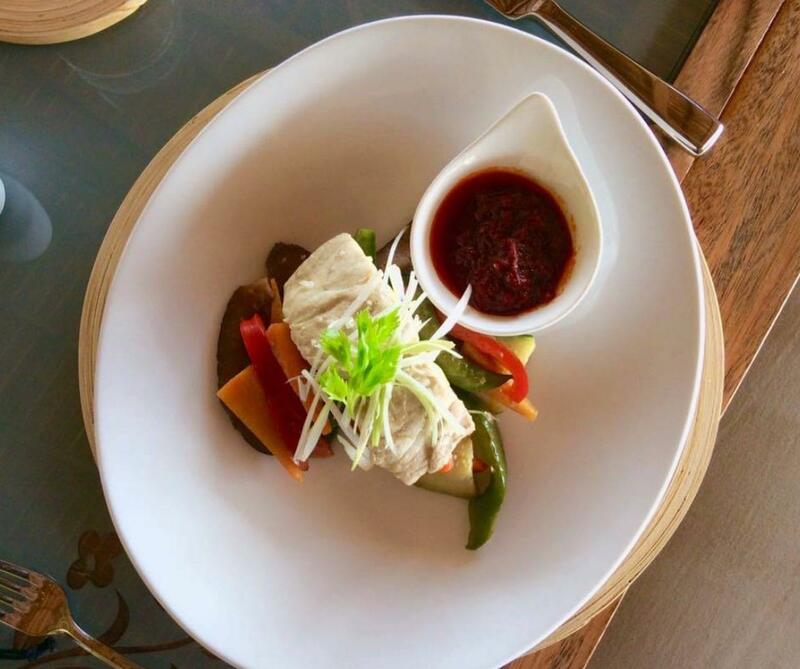 There is a gourmet restaurant specialising in Asian and international cuisine and panoramic sunset views, plus a multi-level chill-out cocktail bar, with extensive wine, spirit and cocktail list. 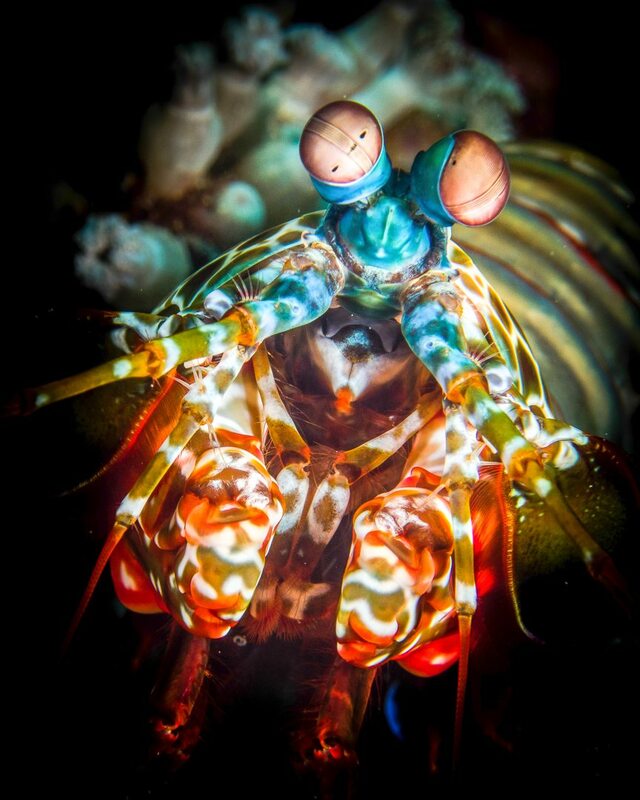 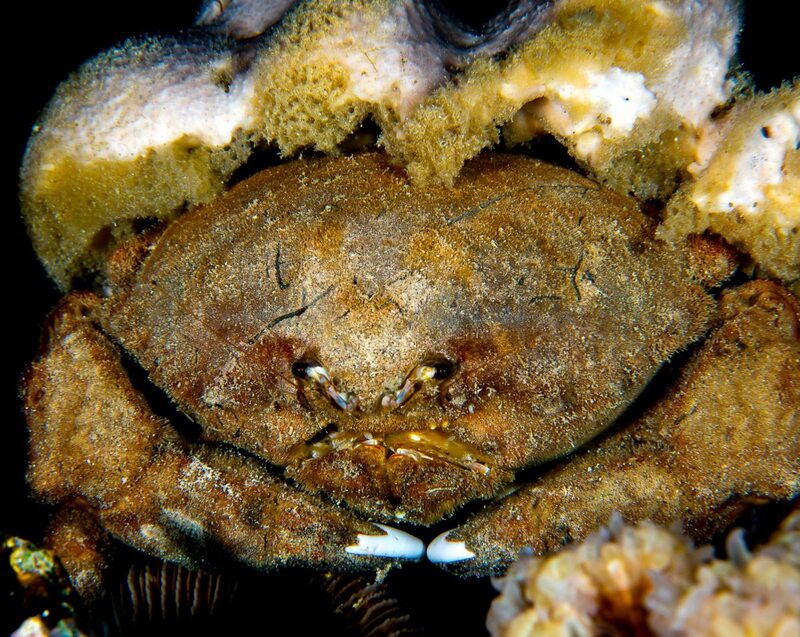 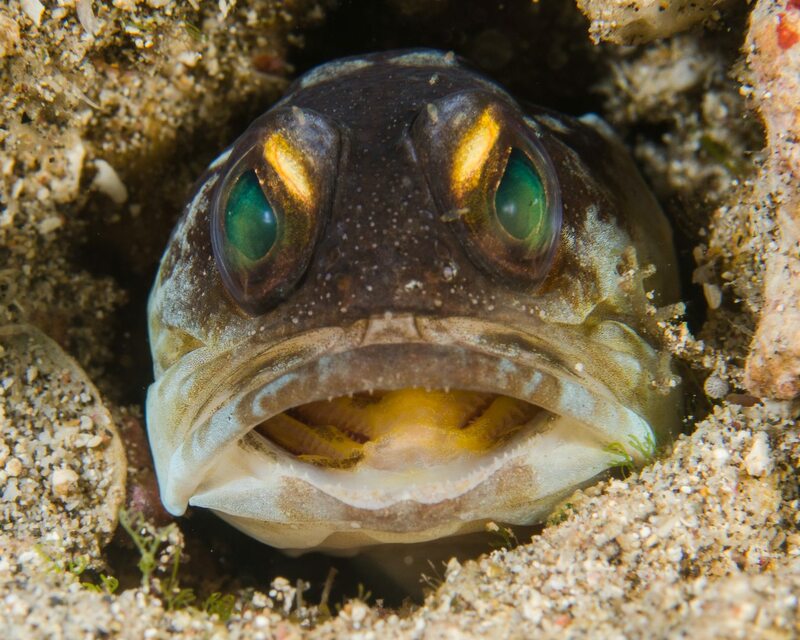 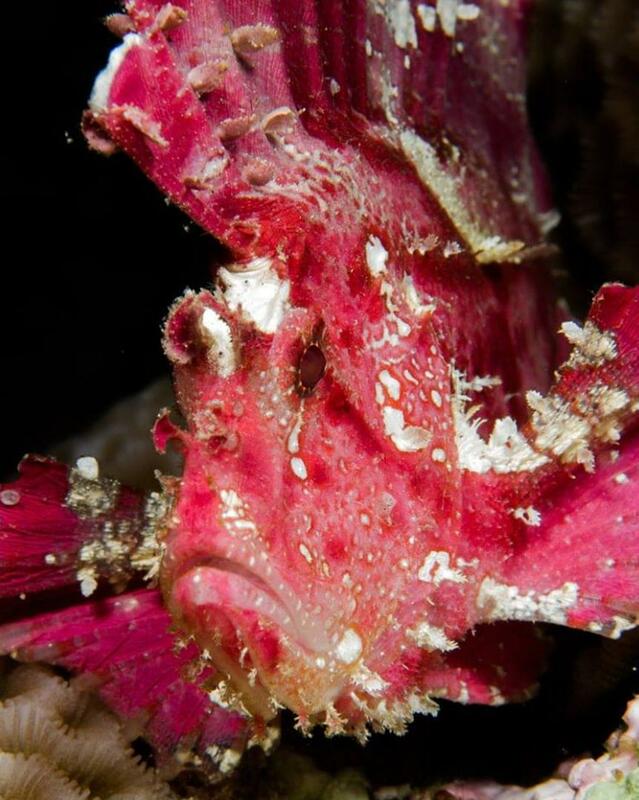 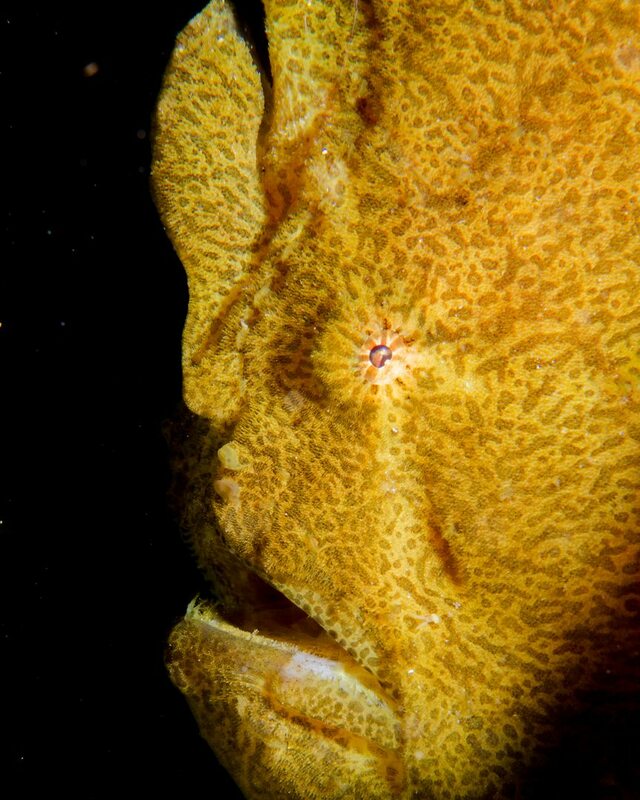 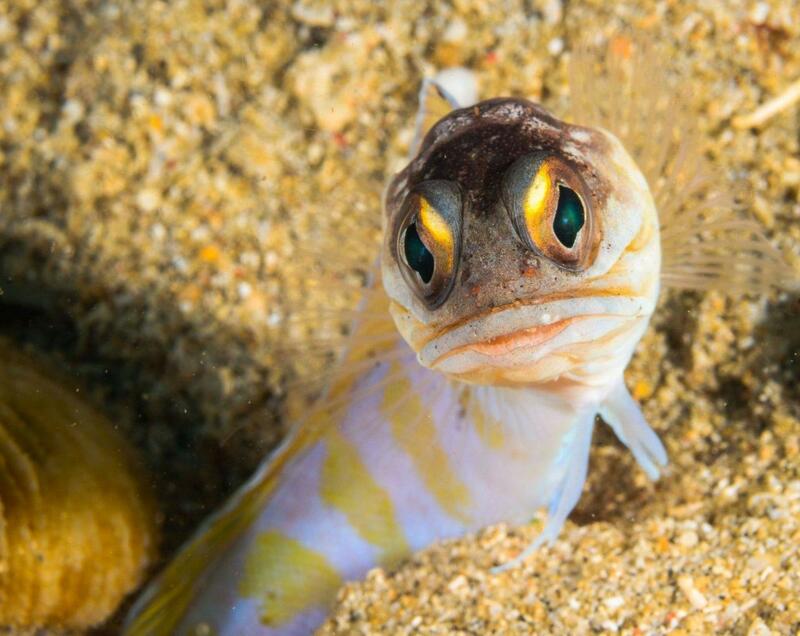 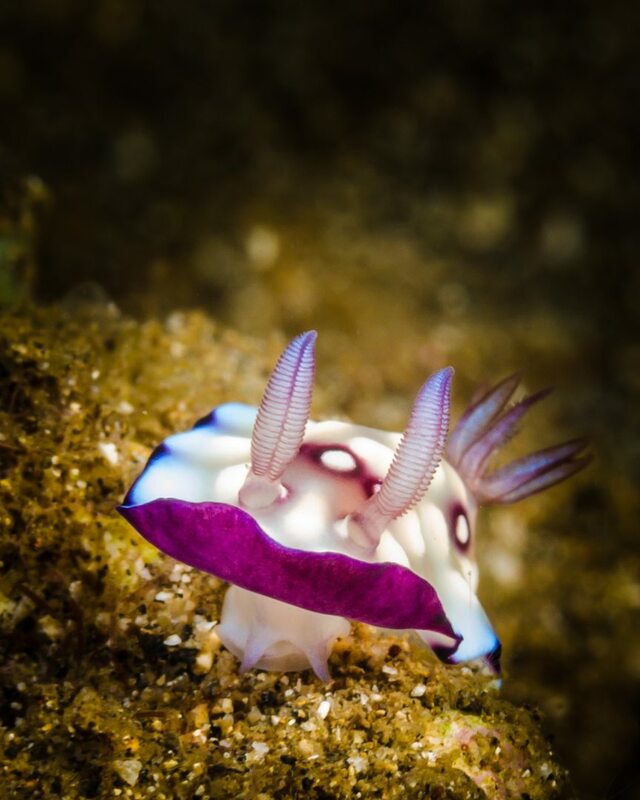 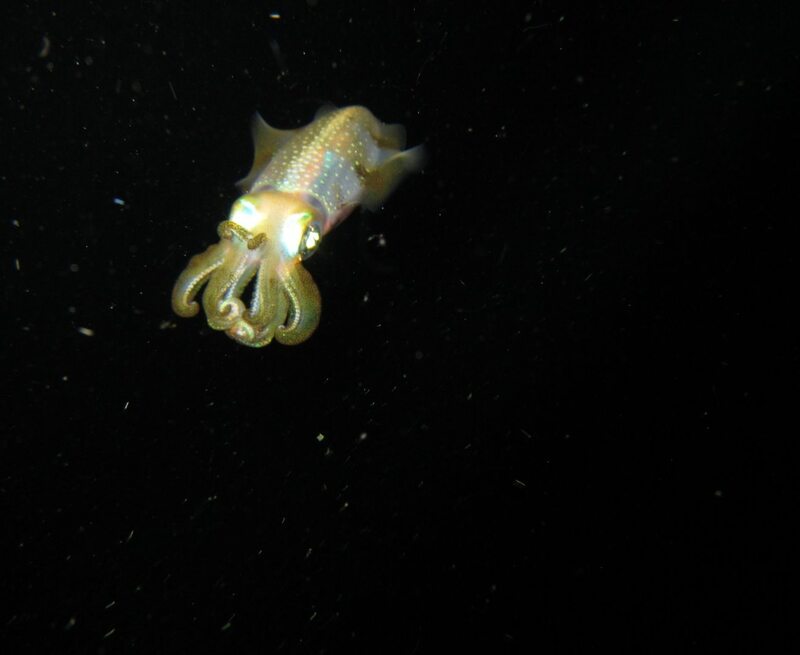 If it’s weird, you are likely to find it in the Lembeh Strait. 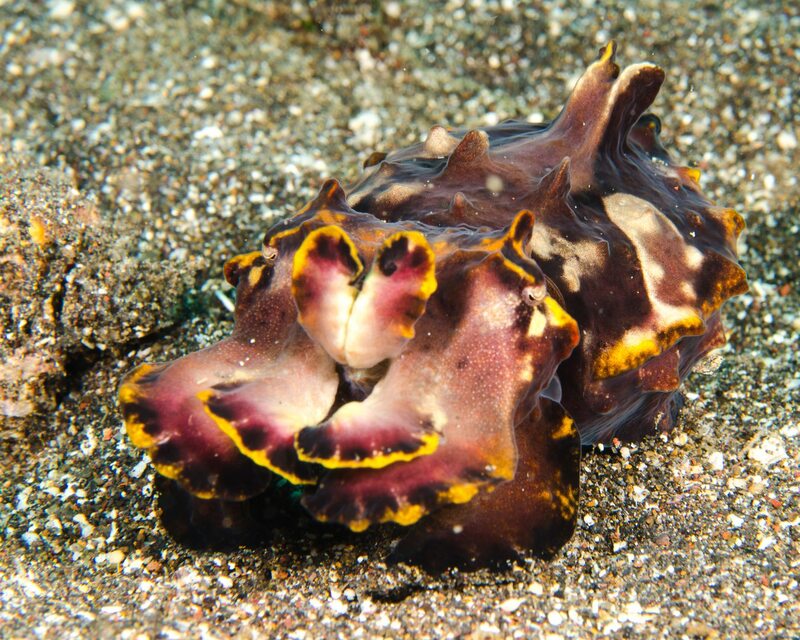 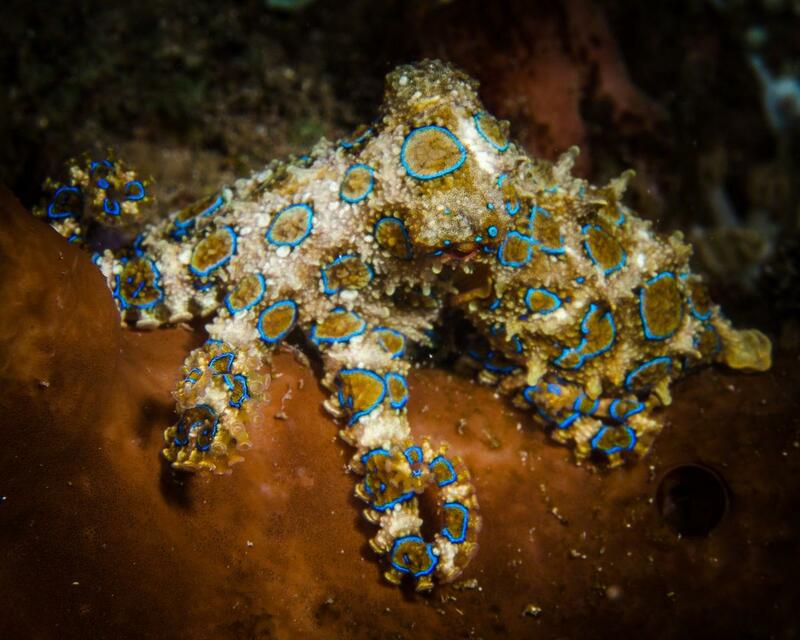 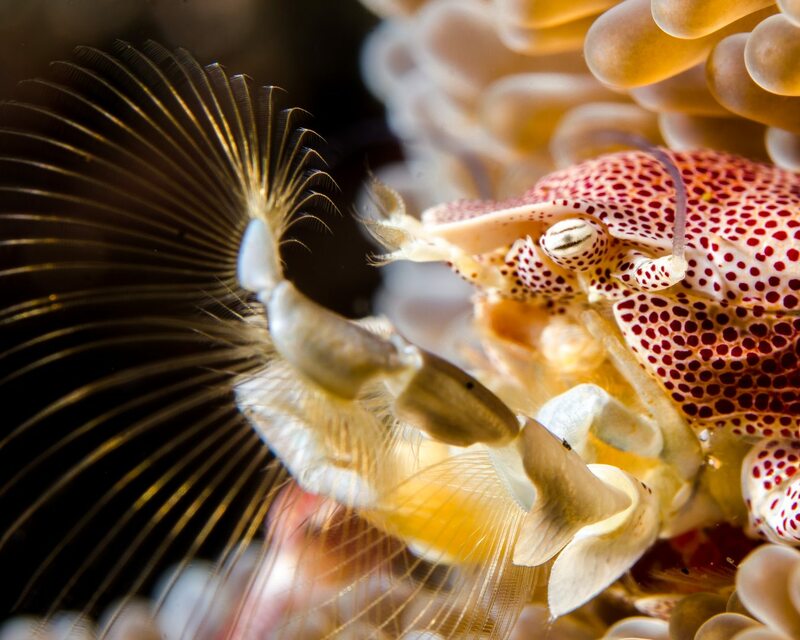 Top critters on every diver and photographers wish list include the mimic octopus, Wonderpus, Rhinopias, flamboyant cuttlefish, Ambon scorpionfish, harlequin shrimp, and the very entertaining hairy frogfish. 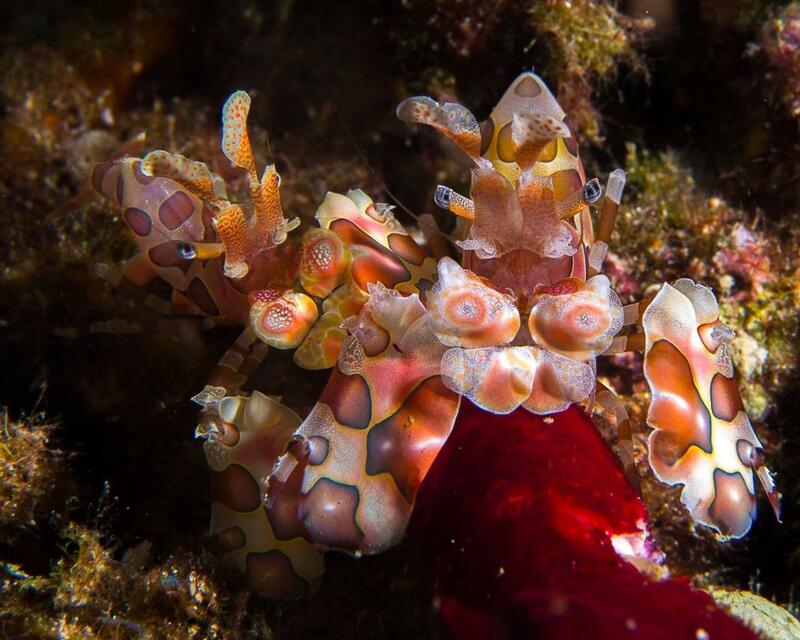 If lucky, you might also come across the delicate Lembeh Sea Dragon. 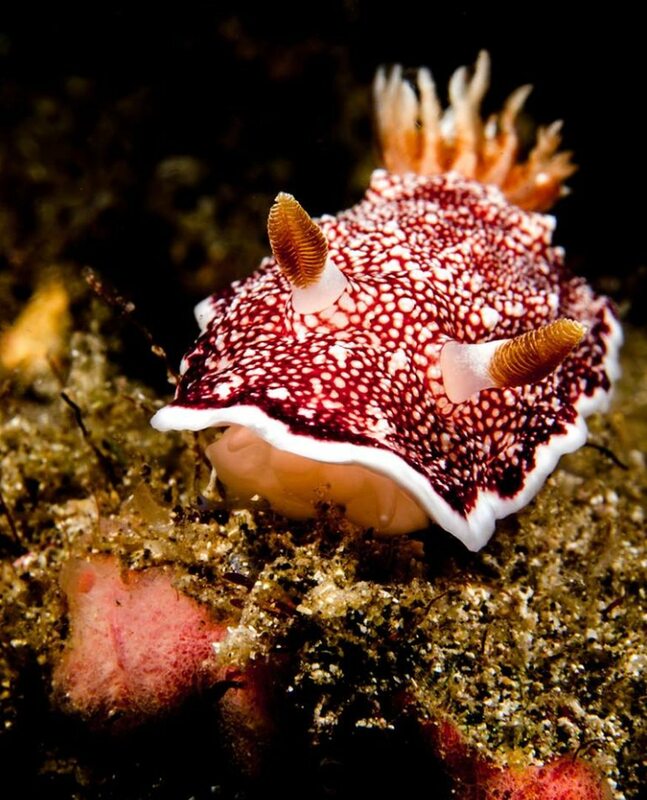 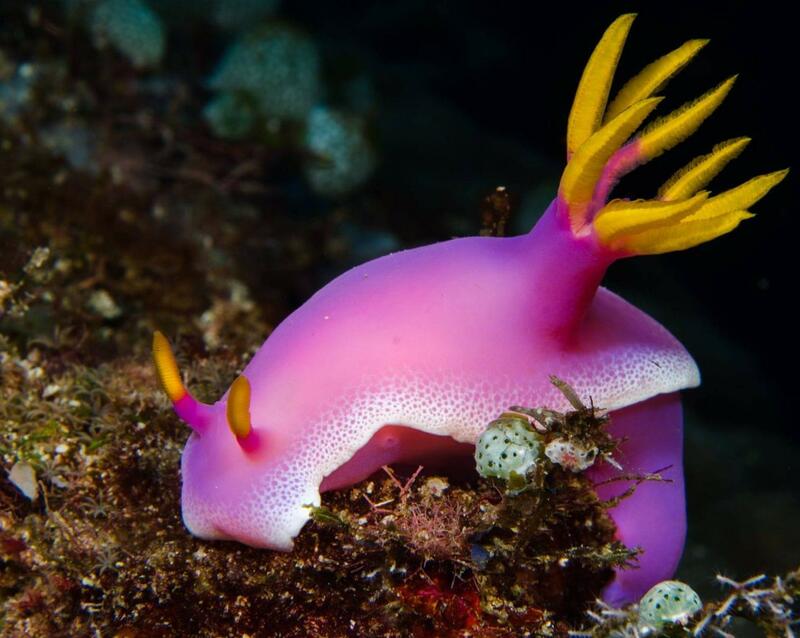 Also, be boggled by the wide array of nudibranch and during night dives, look out for stargazers in the sand and Spanish dancers passing by in the darkness. 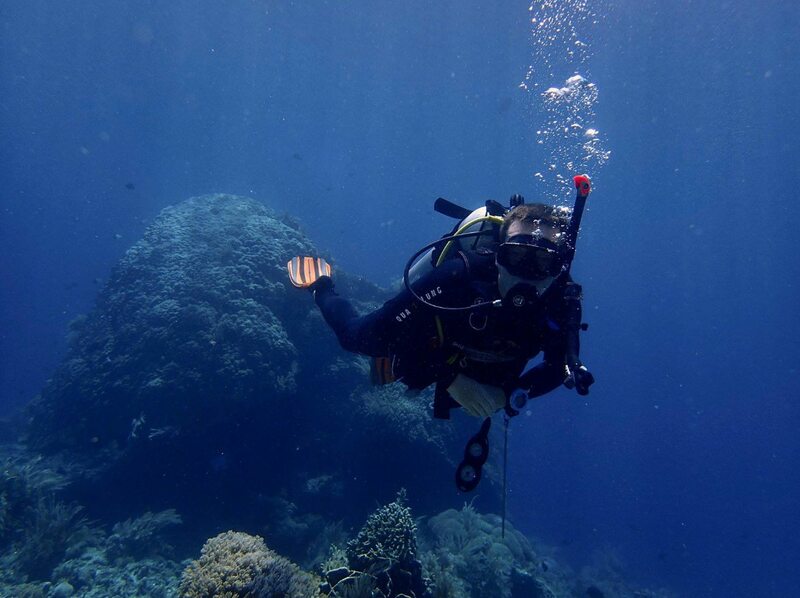 At areas like Bunaken and the nearby Bangka, dolphins or pilot whales can sometimes be seen from the surface. 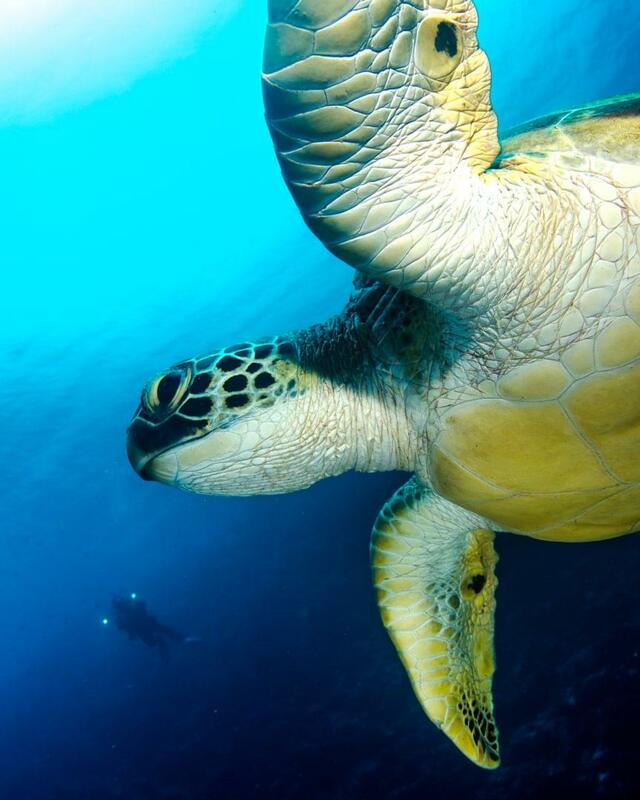 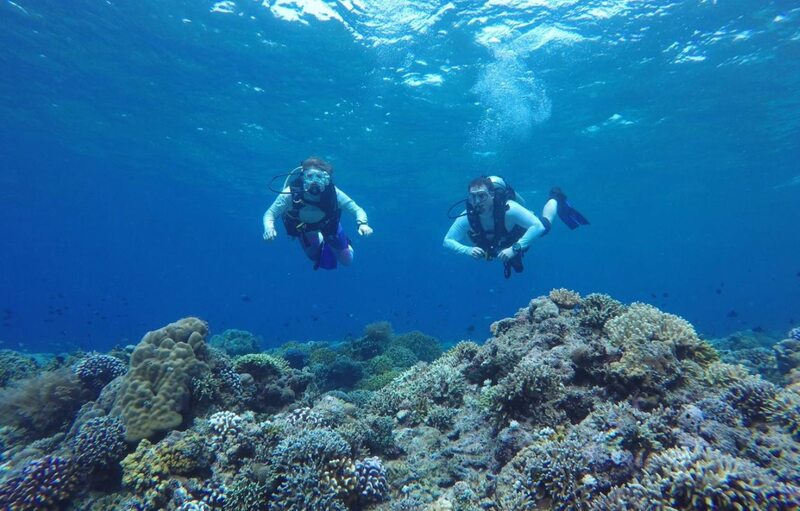 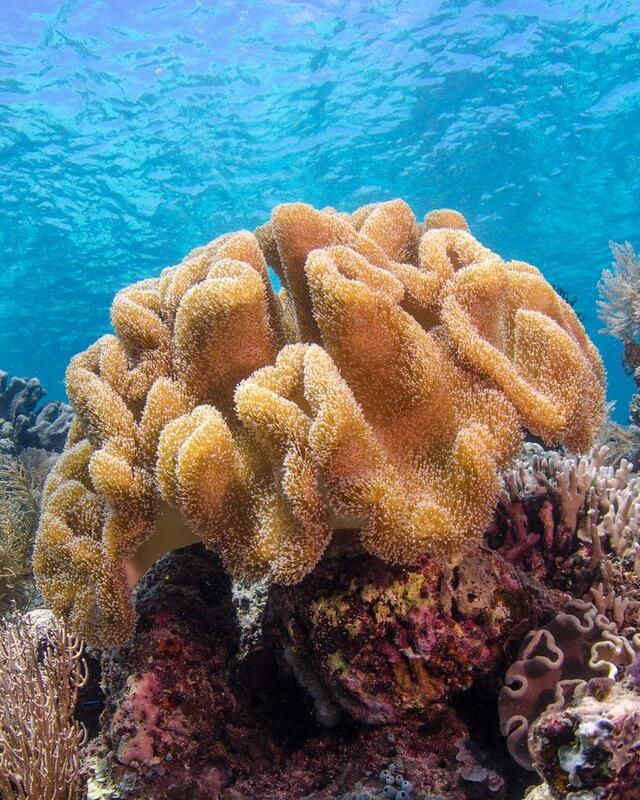 Underwater, expect green sea turtles, schools of trevally and colorful reef fish along the many walls. 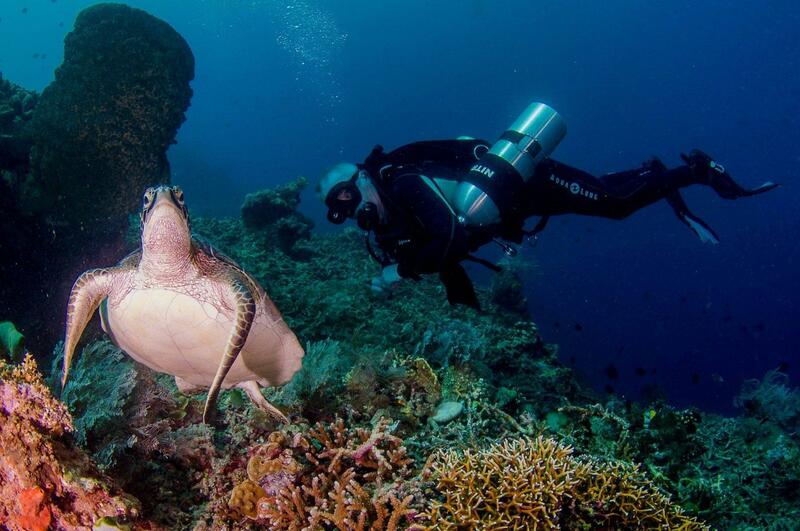 Bangka and Manado Tua also feature a myriad of critters. 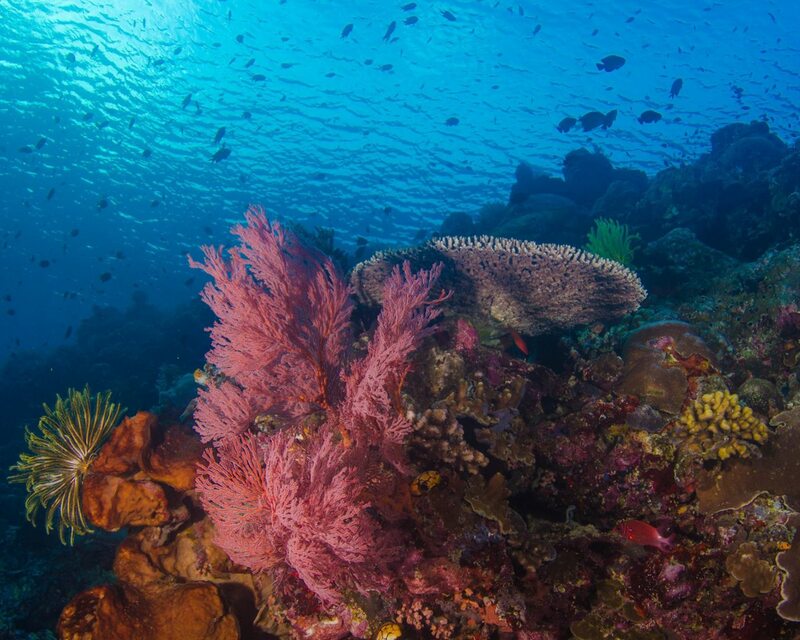 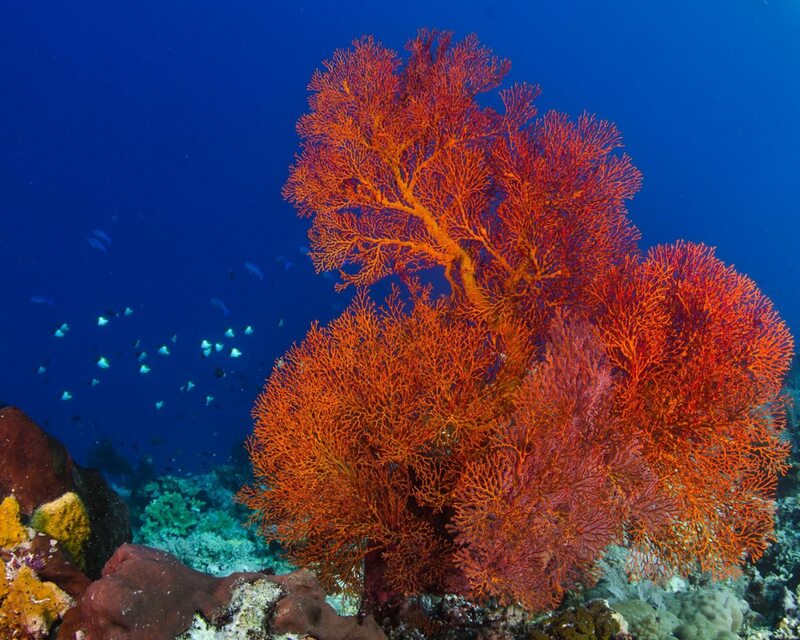 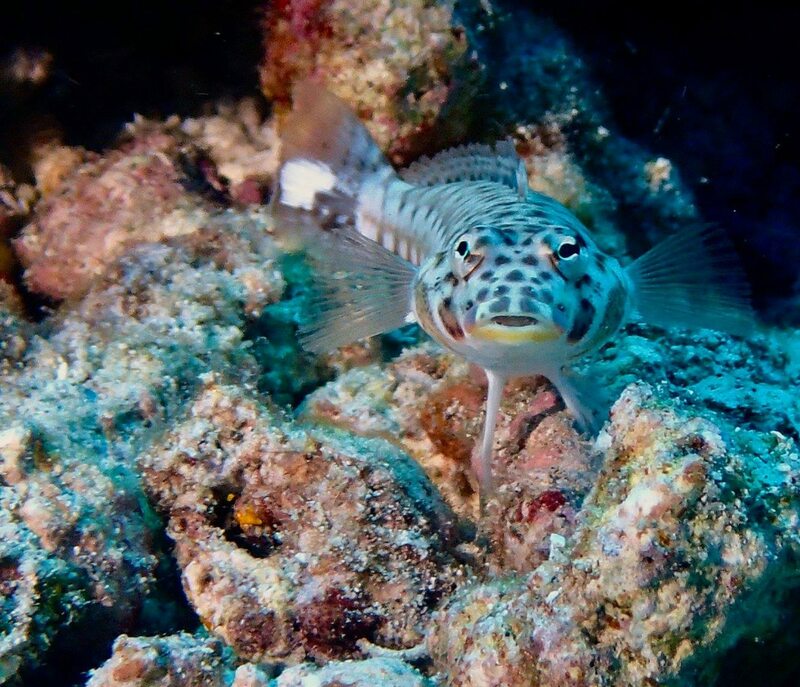 If you dive around the Sangihe Archipelago and Talaud Islands, the healthy reefs and volcanic activity yield many colorful reef fish and schools of fusilier, snapper and predators like trevally, barracuda and Dogtooth tuna. 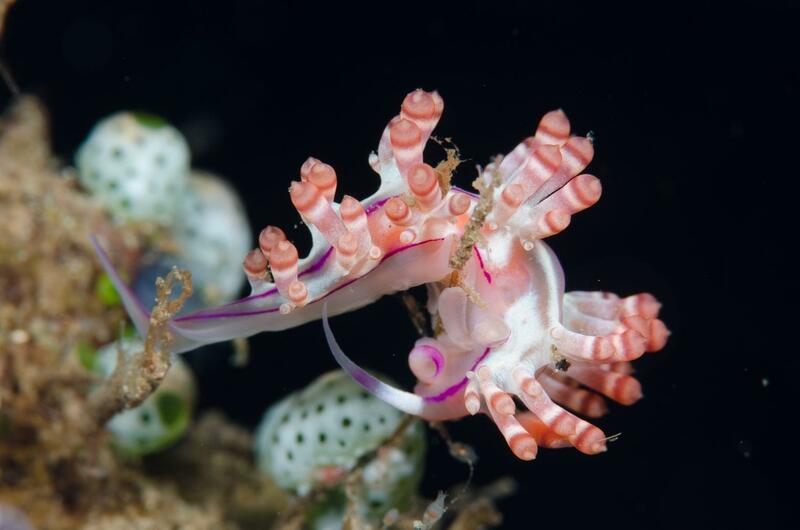 Macro life is also abundant and there are pygmy seahorses, crabs and shrimp as well as nudibranch to find at muck dive sites. 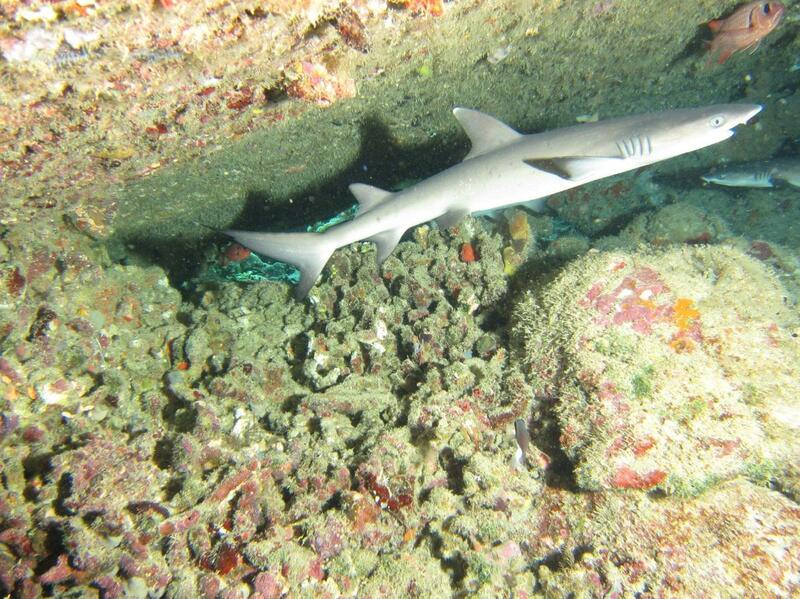 Look out for pelagic animals which come to feed and clean like manta rays, sharks and even hammerhead sharks. 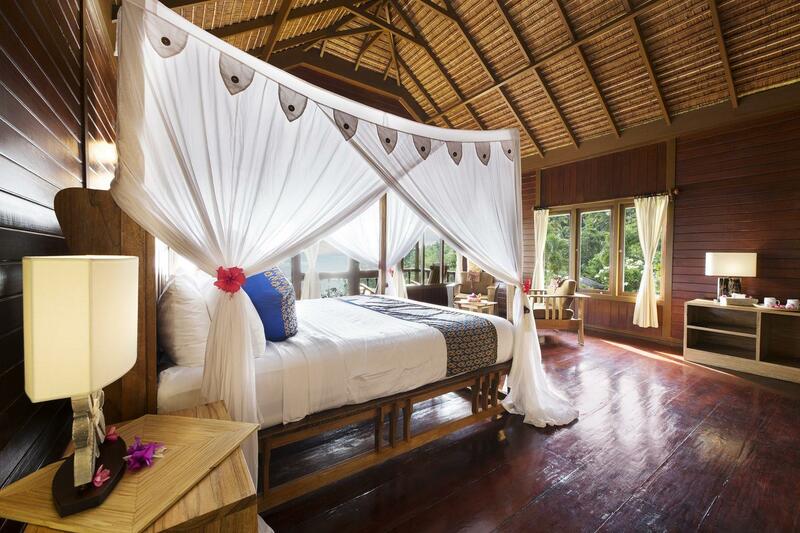 Bunaken Oasis Dive Centre has been designed to allow maximum comfort for an intimate number of guests. 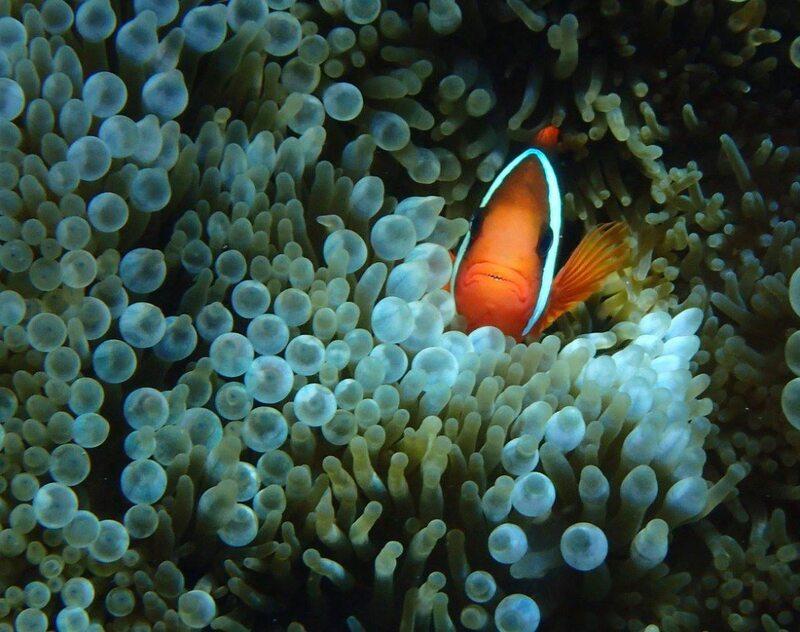 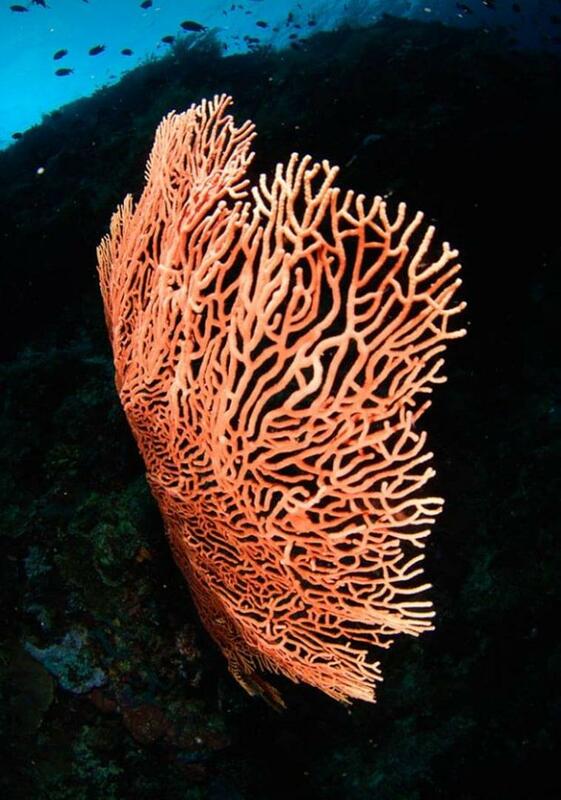 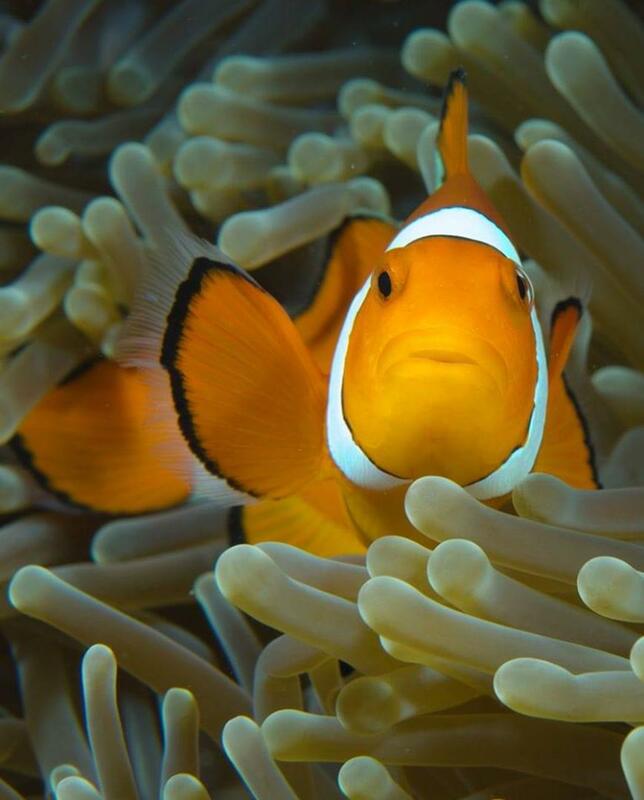 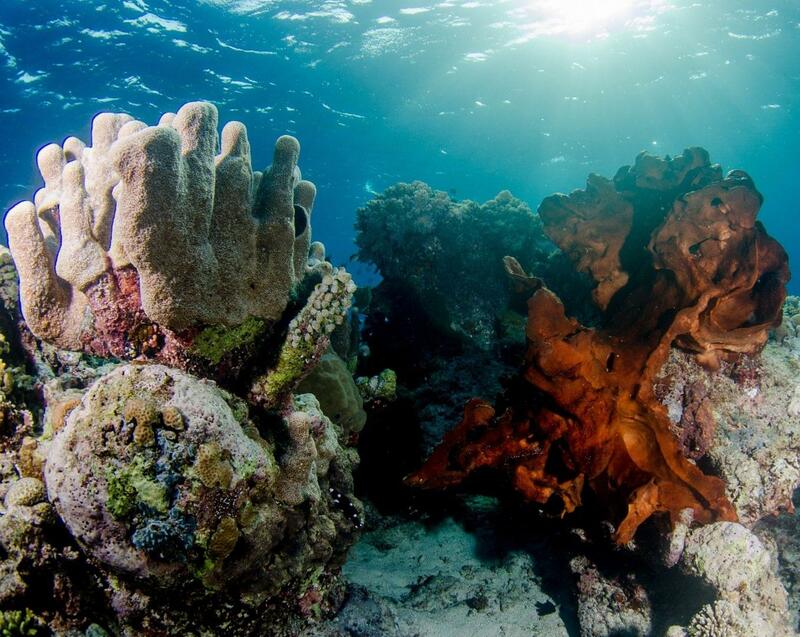 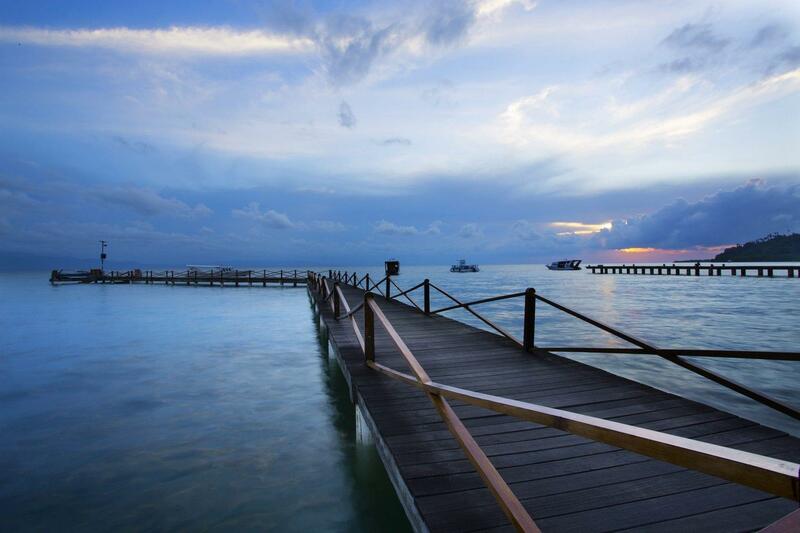 Over 60 superb dive sites are within easy access of the resort's jetty. 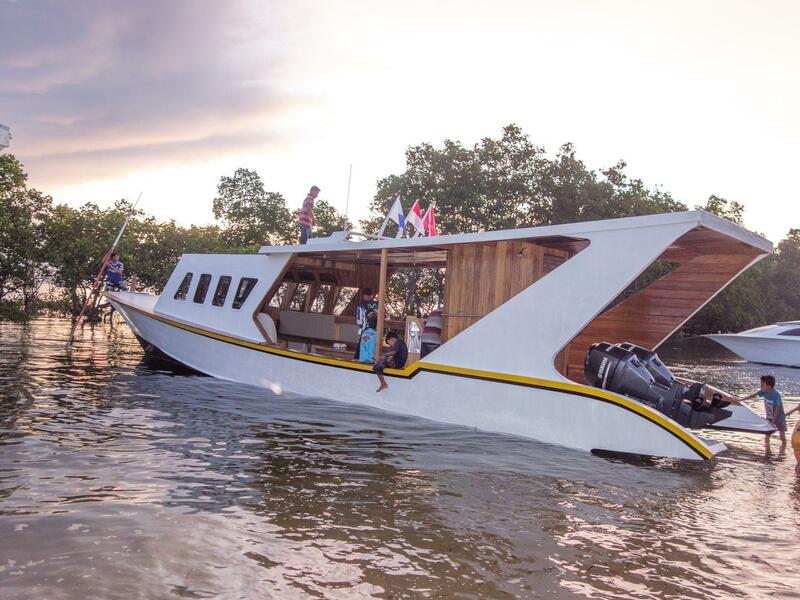 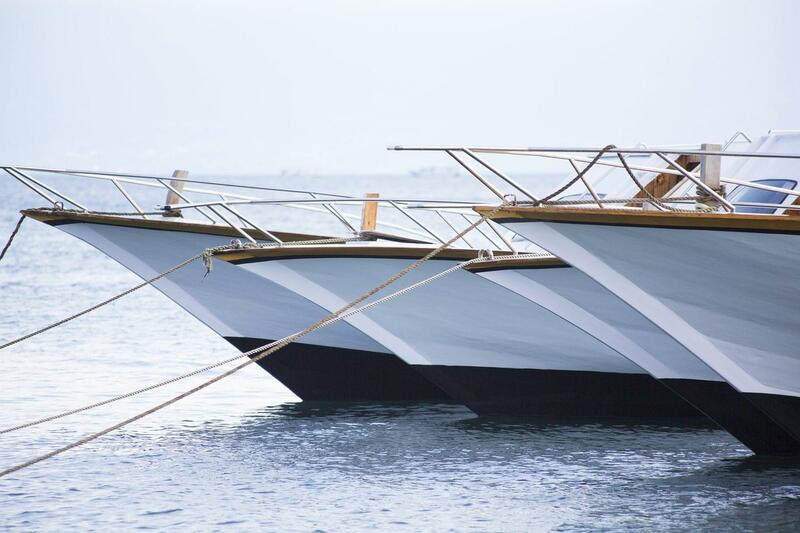 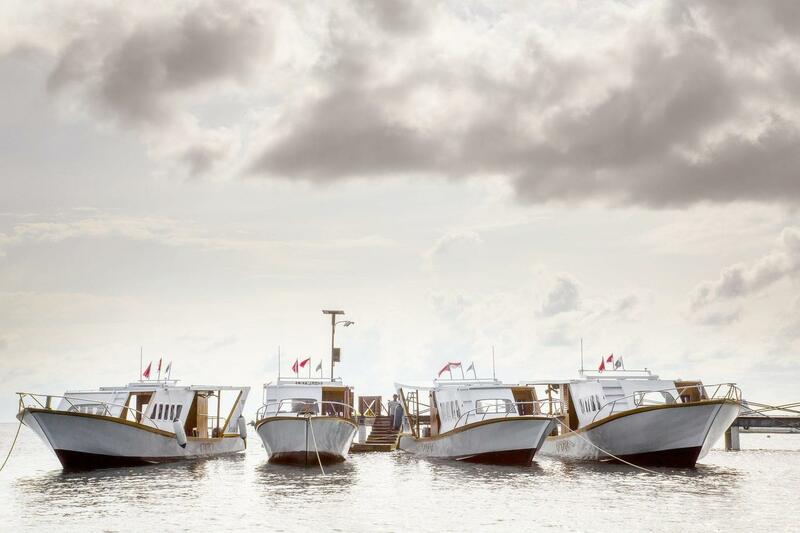 The traditionally-styled dive boats are purpose built and come with WCs, catering and camera facilities. 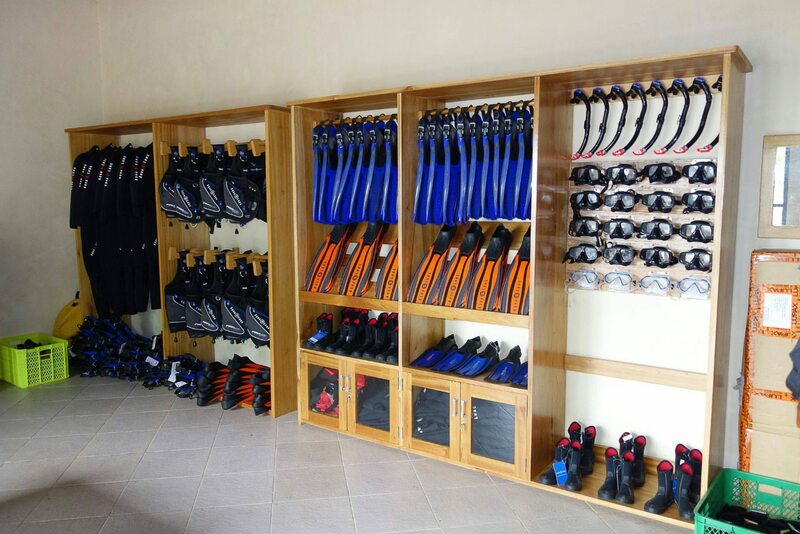 The dive shop is well prepared for photographers, with a large classroom with 4K TV, ideal for reviewing underwater shots and videos. 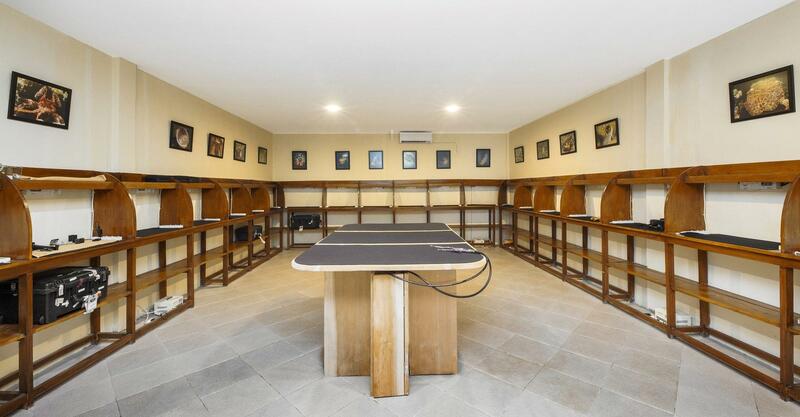 The camera room comes with under-counter storage for camera cases and international charging points. 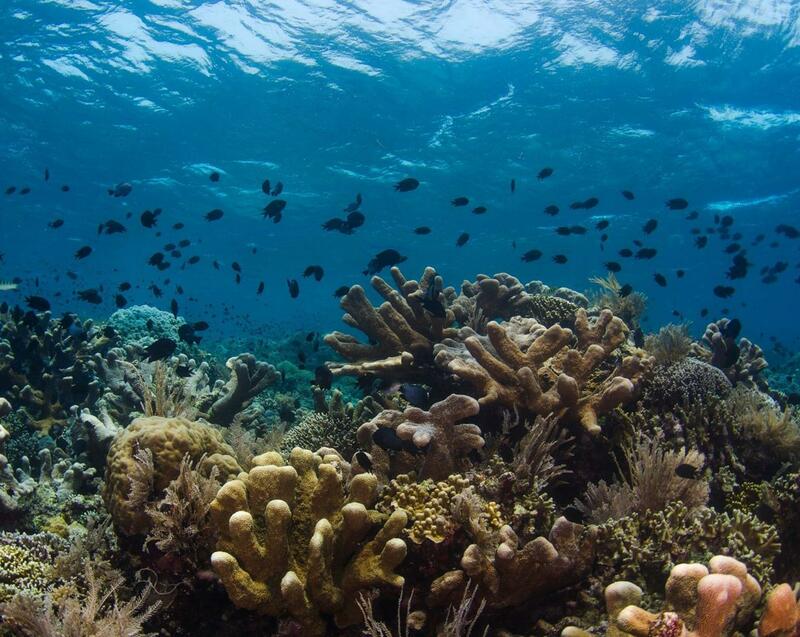 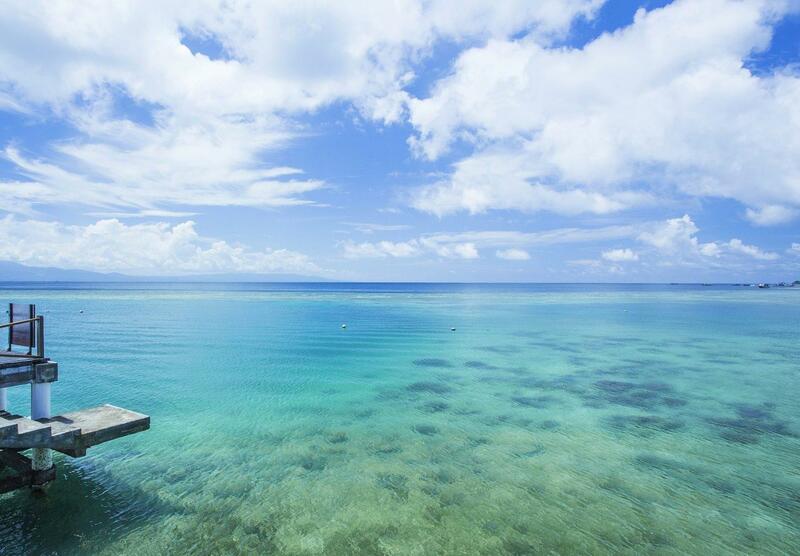 Fresh water showers are available for divers and snorkelers coming off the house reef. 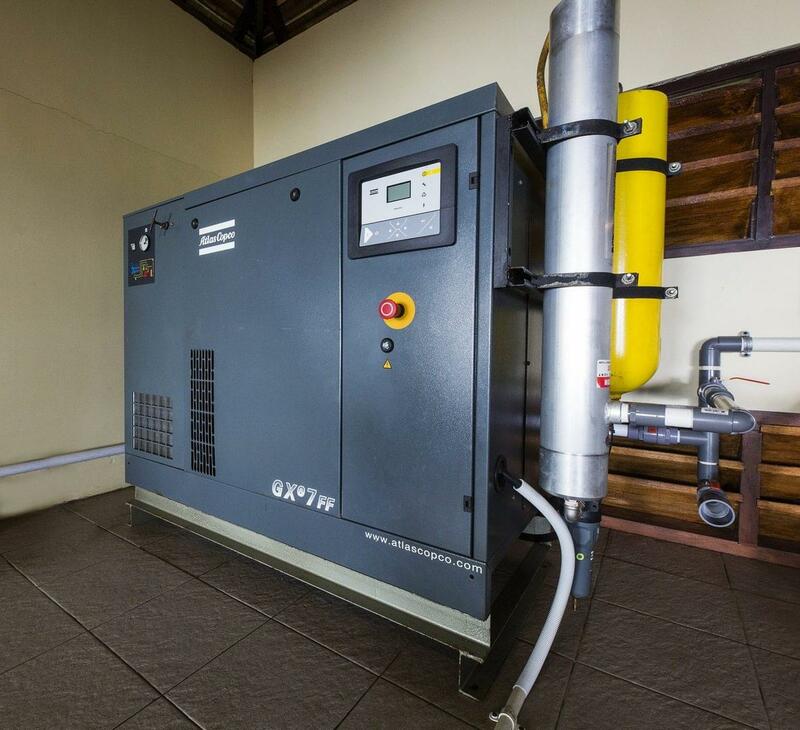 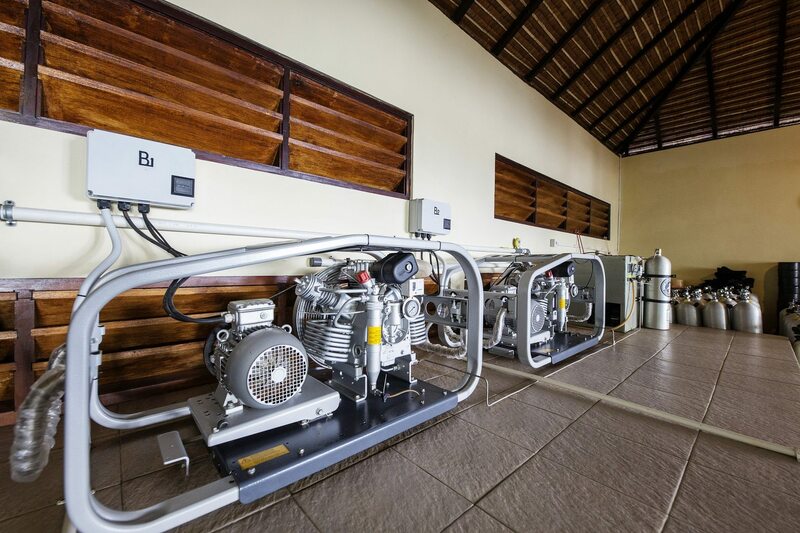 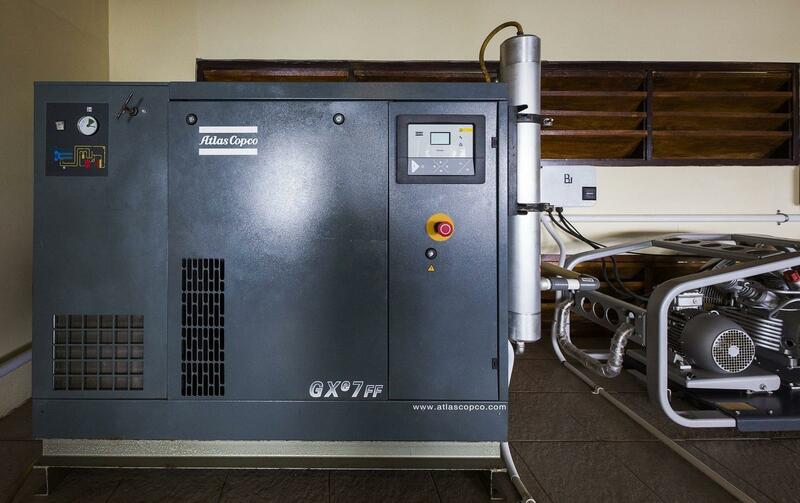 The center has a full range of rental equipment from leading manufacturers and designated space for guests who bring their own equipment. 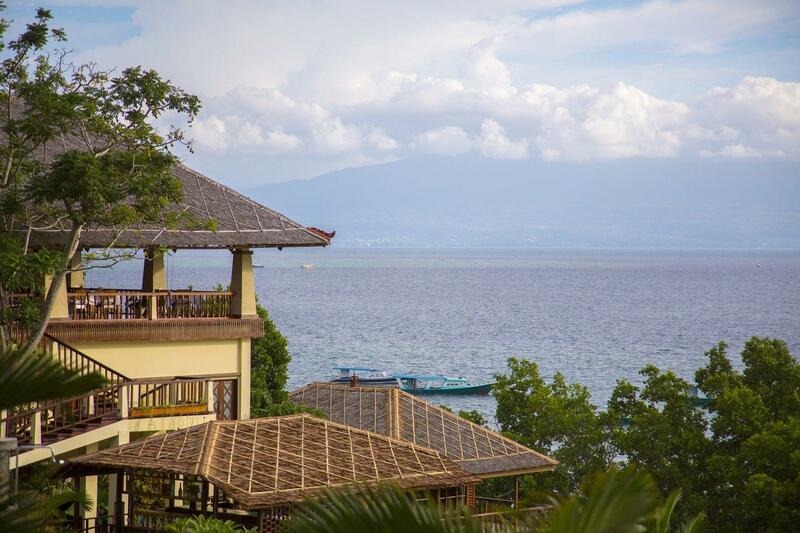 It is best to fly into Sam Ratalungi International Airport Manado (MDC). 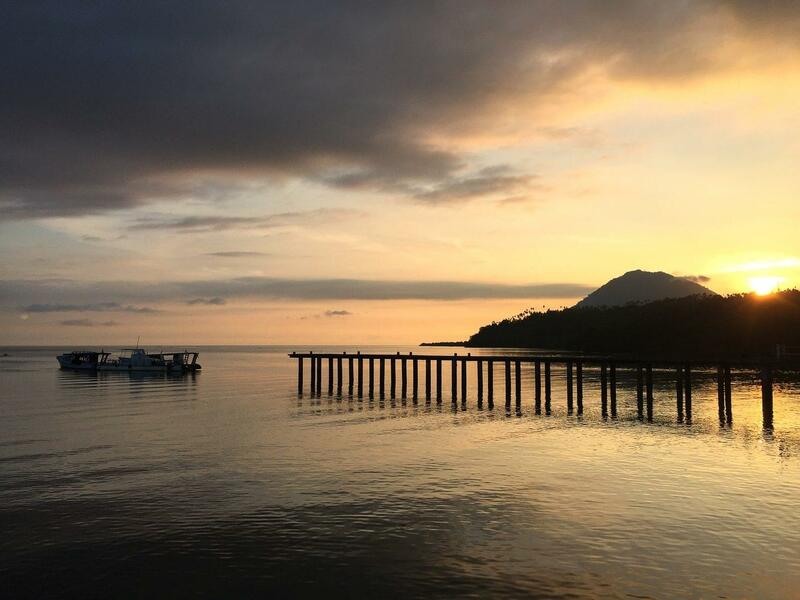 There is only has one international flight, Silk Air MI274 from Changi International Airport (SIN). 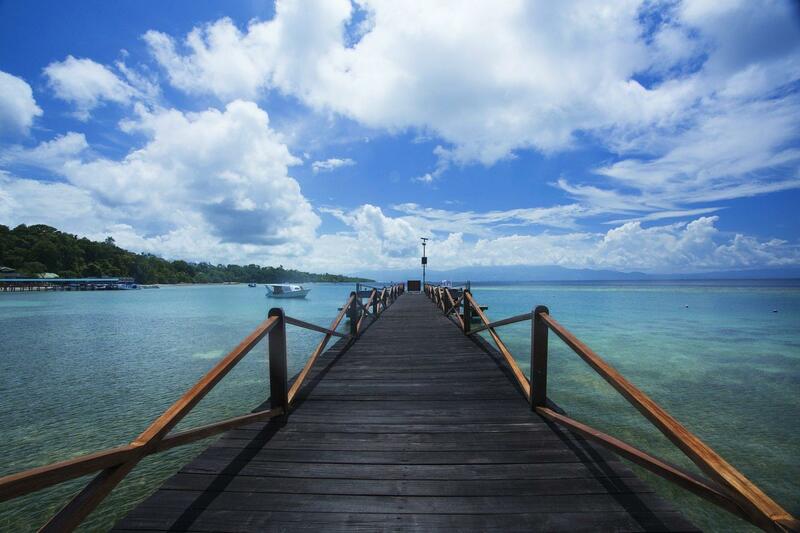 Alternatively, you can connect with a domestic flight from elsewhere in Indonesia. 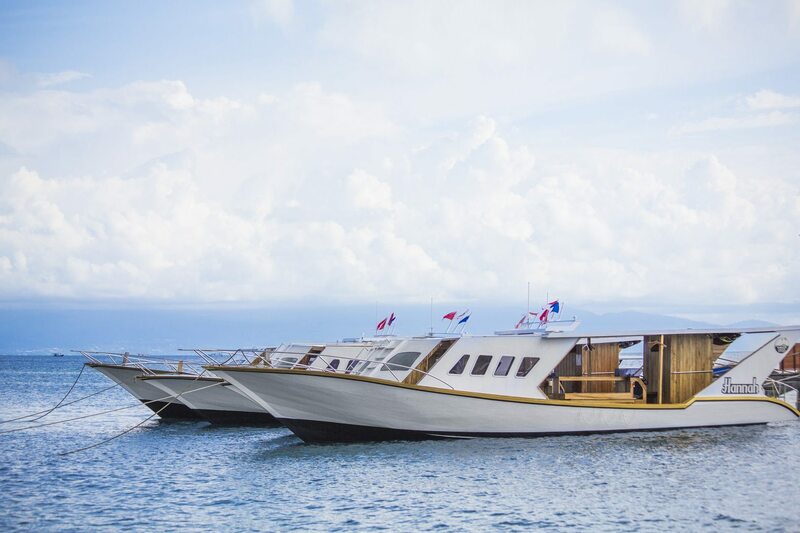 You will be met at the airport by a resort representative, and the transfer from the airport to the harbour in a private car takes approximately 30-40 minutes. 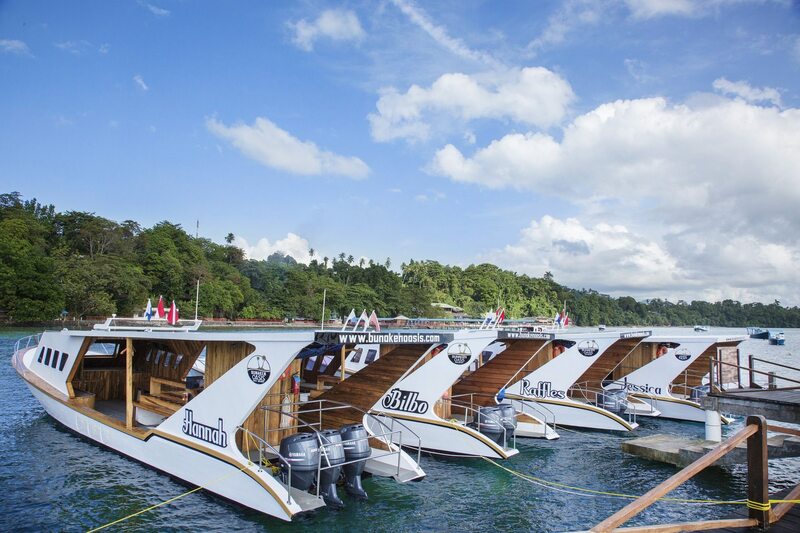 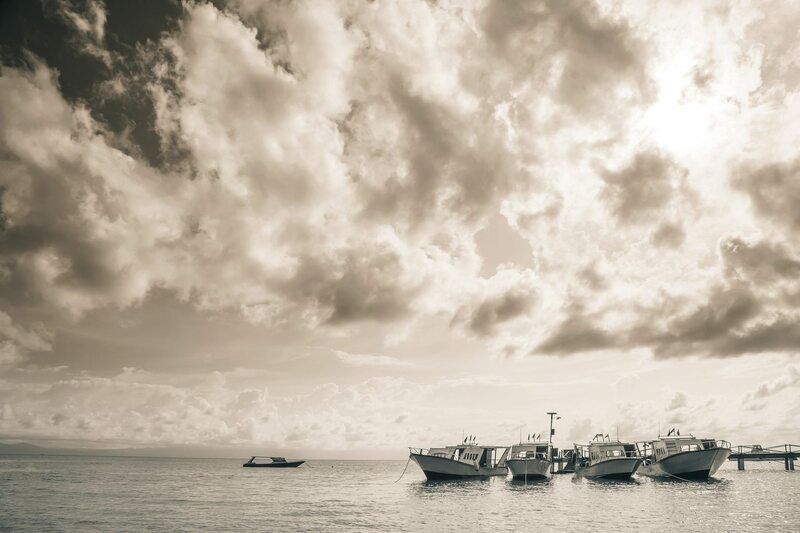 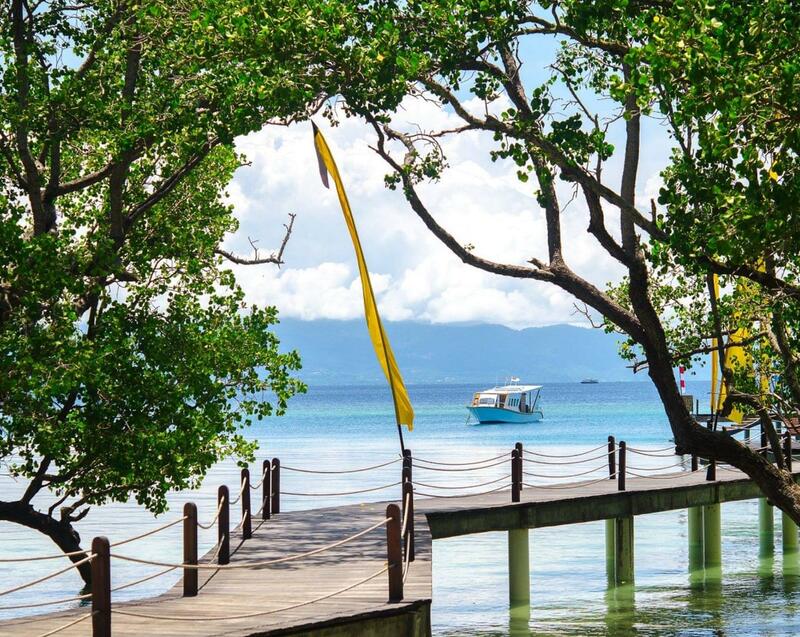 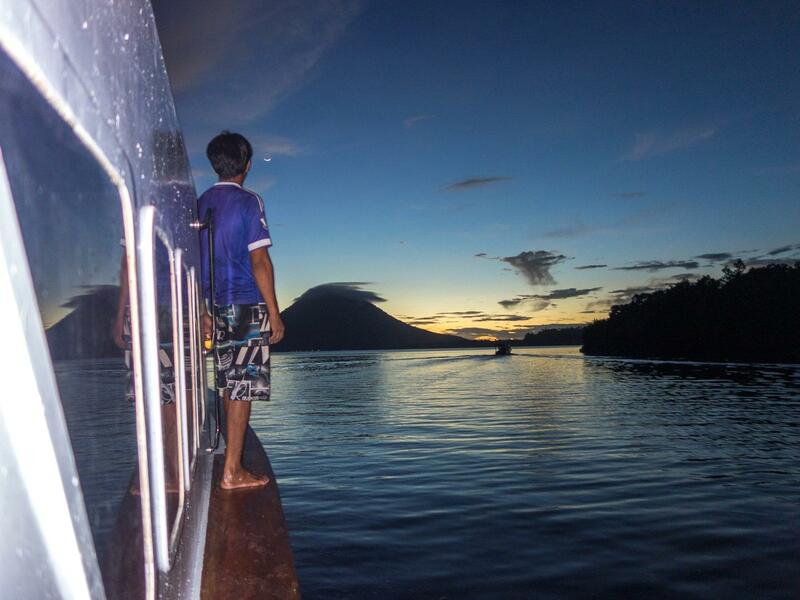 The boat ride from the harbour to Bunaken Oasis takes a further 30 minutes. 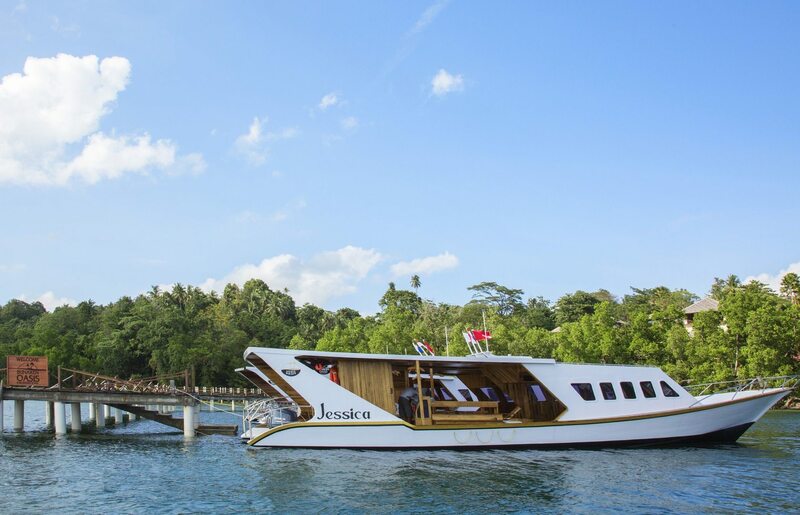 The journey back to the airport takes approximately 1 hrs and 10 minutes via boat and then private car.